However, oxidation isn’t always bad. In fact, it’s a key part of most winemaking. Long before you uncork a bottle, the wine has likely encountered some form of oxidation, whether through contact with the air during the winemaking process, in the barrel while aging, or oxygen that enters through the cork after bottling. Oxidation can be responsible for the flat taste of wine that’s past its drinking window, but it can also be the element that unlocks the array of flavors that wine grapes can offer. It can soften a tannic red, impart nutty, earthy and roasted flavors, and is responsible for breaking down primary flavors into deeper secondary and tertiary notes. Controlled oxidation is a requirement for nearly every great wine, but what is that process, exactly? Oxidation happens when a wine’s exposure to air triggers a series of chemical reactions that convert ethanol (what we commonly refer to as alcohol) into acetaldehyde. This concentrates color and creates aromas and flavors generally considered to be grassy, nutty or apple-y. Open-tank fermentation, pumping over, racking and bâttonage (lees stirring) are all processes that introduce oxygen into a wine. 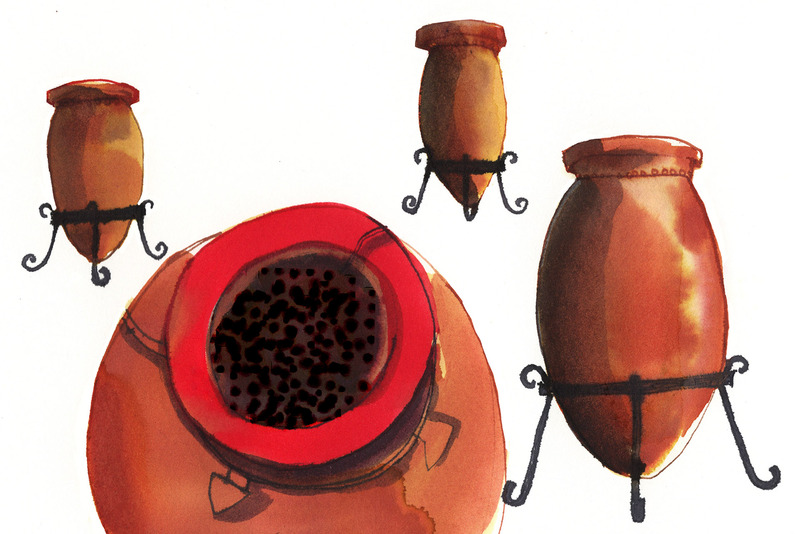 There’s also oxidative aging, which includes any wine that’s spent time in a porous vessel like a wood barrel or clay amphora. Bottle aging under cork, which is also porous, is another controlled way to transform wine with oxygen over time. 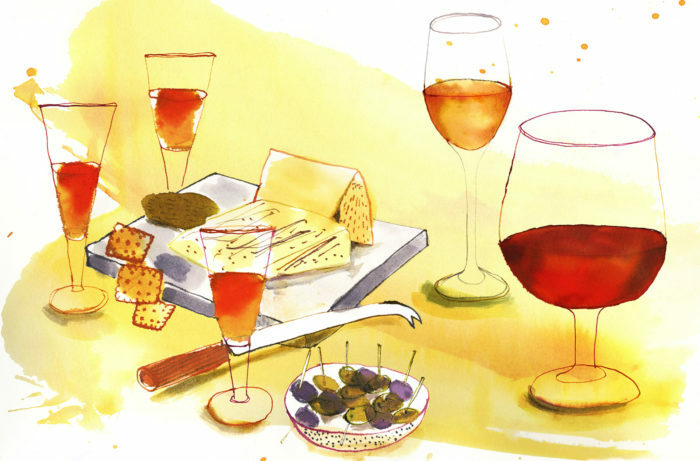 Oxidation can be responsible for the flat taste of wine that’s past its drinking window, but it can also be the element that unlocks the array of flavors that wine grapes can offer. In these conditions, oxygen seeps in slowly to trigger reactions during maturation. New oak barrels allow more oxygen to permeate the wine than used barrels, as does the decision to not “top up” wines that have evaporated in barrel. Oxidation also occurs, albeit faster, when you open a wine. It unleashes the wine to an environment full of air, which contains 21% oxygen. Decanting and swirling will speed up these reactions, allowing wine to “open up” with new flavors more quickly. However, even when re-corked, wine will continue to change rapidly once opened, and can soon become overly oxidized. What is a reductive wine? Reduction is the opposite of oxidation. Many wines made with limited exposure to air show characteristics of reductive winemaking. It’s not difficult to identify a wine made in a reductive environment. Just think of a really fresh and fruity style of a young, unoaked wine. 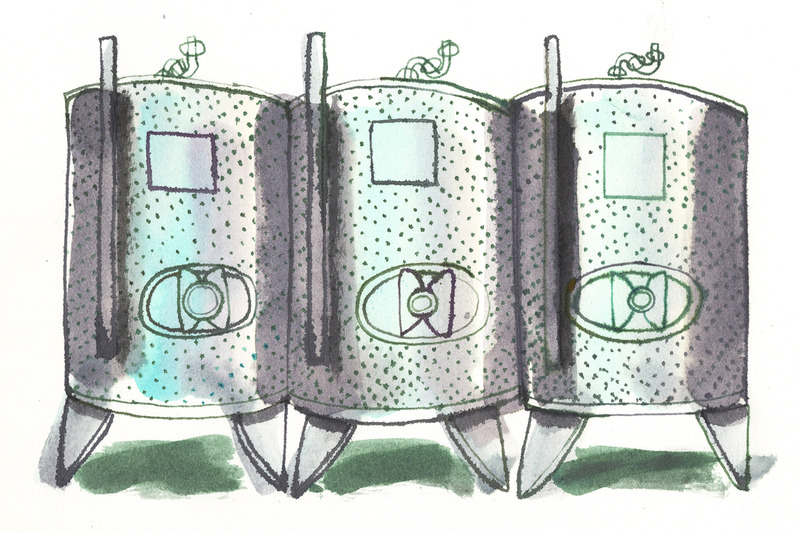 Reductive winemaking usually takes place in hermetic steel tanks, and it’s used for many white wines, as well as some reds. A popular form of this technique is carbonic maceration, in which the tank is flooded with inert carbon dioxide gas. The process blocks contact with oxygen while whole grape clusters ferment. This method may be best known to wine lovers in the production of Beaujolais Nouveau, and is known to produce particularly fruity aromas. “Wine is a redox system,” says Dr. Federico Casassa, assistant professor of enology at Cal Poly San Luis Obispo. “[This means] that when a compound or compounds get reduced, other sets of compounds get oxidized, and vice versa.” This is why a wine produced in a reductive style will often oxidize much more quickly in a different environment, like a barrel or open bottle. Biological aging, or aging under flor, is another example of reductive winemaking, though one commonly mistaken for oxidation. Flor, known as voile in France, is a layer of yeast that forms on the surface of some wines as they age in barrels. Flor is associated frequently with oxidation due to its use in certain styles of Sherry and nutty flavors, but its presence actually indicates the opposite. Since the yeast feeds off oxygen and the wine’s nutrients, they actually create a barrier that prevents oxidation. 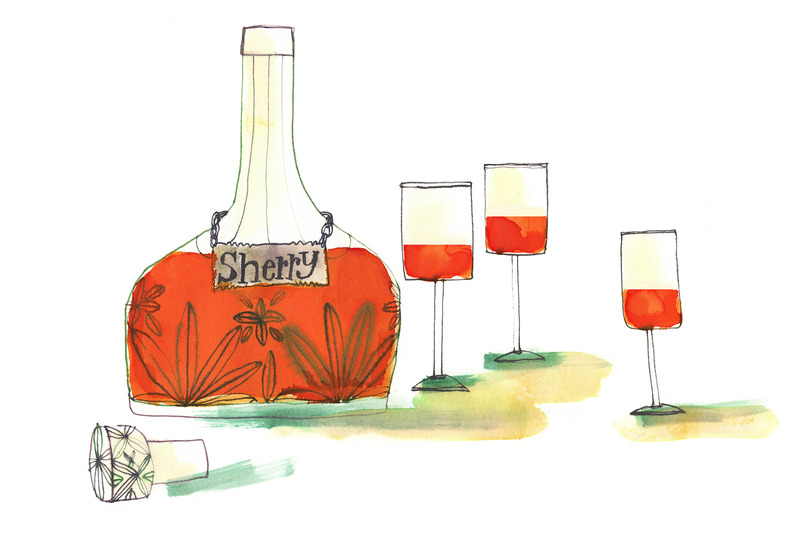 What is Sherry, and is it oxidized? The difference between oxidative aging and biological aging is critical in understanding Sherry. This style is so misunderstood that “Sherry-like” is often mistakenly used to describe oxidation in other wines. It’s true that many Sherries are marked by heavy oxidation. This is true particularly of oloroso, which forgoes the use of flor in favor of 100% oxidative aging, which give the wines their typical deep-brown color and richness. However, fino Sherry, which includes Manzanilla from Sanlúcar, is a biologically aged wine protected from oxygen by its flor. Finos are pale to yellow, completely dry and high in acid. Their flavor profile represents autolysis, or flavors gained as yeast is broken down. These are encountered in traditional-method sparkling wines, or wines with a lot of lees contact. It produces nutty and savory notes much like the flavors gained from oxidation, which adds to the confusion. The famous oxidative white wines of the Jura region of France are also aged biologically, but under drastically different conditions than those of Spain. In the region’s climate, it can take weeks or months for the yeast layer to form. 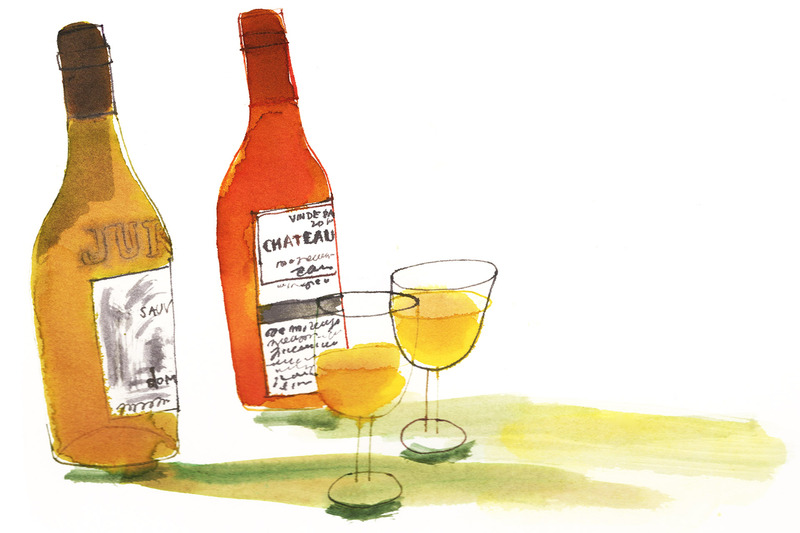 The wines, like Vin Jaune, have intense flavors from the combination of oxidative winemaking and biological aging. Dorbon stresses the importance on the correct use of wood in the process. “The barrel can’t be neglected either,” he says. “A good barrel for oxidative aging is an old one which, over the course of years, has accumulated these famous yeasts and bacteria from the wine and ambient air in the winery that are necessary for the voile to form. In addition to non-fino Sherries and sous voile wines of the Jura, there are several other styles of oxidative wine. Most come from areas where traditional winemaking practices are observed. Tawny Port: A style of Port is aged in wood barrels to encourage oxidation and evaporation, which gives the wine its pronounced nuttiness. Madeira: This famously long-lived wine develops oxidative flavors through both heating and aging. Vernaccia di Oristano: A grape grown in Sardinia, used to produce wine in a traditional oxidative solera system, or aged in untopped barrels. Tokaji Szamorodni: This rare dry style of Tokaji is made from botrytized grapes and aged under a veil of yeast. Oxidative Tokaji were more common in the past. In addition to these wines, many table wines can display oxidation, though there’s no clear rule to identify them. Some oxidative whites are bottled intentionally in clear glass, where the wine’s darker color will be your biggest hint. Otherwise, check the vintage—the older a wine is, the greater chance it will show oxidative characteristics. Rather than dismiss oxidation as a flaw, first consider the wine and how it was produced. Oxidation is a complex effect. It can lead to the ultimate decay of a wine, but it’s also the process by which wines can achieve their greatest form.